(Kathy Gabler)— Miracles are begun in grace and perfected in glory. They start with God’s supernatural enabling and come to complete manifestation through His intent and purpose and timing. As I wait on God, I shall continue to pray for miracles this Christmas season because the coming of the Christ is still in effect as well as God’s goodwill toward men. May His presence and power and purpose and timing change your life as His goodwill touches the earth again. 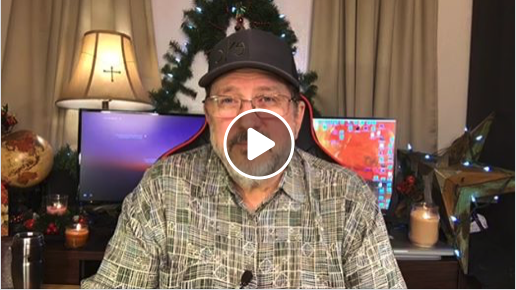 This entry was posted on December 20, 2018 by Marty Gabler. It was filed under Uncategorized and was tagged with 1 Thessalonians 4:17, adoration, Advent, anticipation, Apostle, Barbara Yoder, Beside Still Waters, Bethel Church, Bible, Bill Johnson, Body of Christ, celebrate, CFNI, charismatic, Christmas, Christmas Carols, Chuck Pierce, church, Cindy Jacobs, circumstances, comfort, communion, Daily Discovery, Damon Thompson, destiny, dreams, Dutch Sheets, elderly, encouragement, Eve, expectation, faith, father, Five-Fold, FMCI, future, gifts of the Spirit, god speaks, grace, Haggin, happy, healing, history, Holy Spirit, hope, Identity, intercession, Isaiah 9:7, Israel, issues, Jentezen Franklin, Jeremiah 29:11, Jesus, Jim Goll, Jim Hodges, John 3:16, John Eckhart, John Kelly, Joseph Prince, Joyce Meyer, Kathy Gabler, Kim Clement, Kingdom of God, Lakewood, Lance Wallnau, life, Lindsey, manifestation, Marty Gabler, Matthew 6:10, Matthew 6:33, Melissa Gabler, miracles, Myles Munroe, obstacles, ORU, Osteen, power of god, prayer, problems, prophecy, prophesy, prophet, prophetic, prosperity, purpose, Redding, rejoice, Rick Joyner, Rick Pino, righteousness, salvation, Savior, SEEC Ministries, sentiment, sons of God, spiritual warfare, success, TD Jakes, Texas, Tony Evans, transforming power, victorious, victory, visions, Will of God, wisdom, word of god, yuletide.